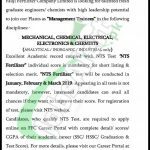 Here in the following, FFC Management Trainee Jobs 2019 NTS Test Schedule & Sample Paper. Applications are being offered from the Fauji Fertilizer Company which is the well-known Fertilizer Company of Pakistan is making its development on the highest peak is inviting the Fresh Graduate Engineers & Chemists for to join this company as (Management Trainee). The post which needs to be filled by the applicants in the number of the disciplines as (Mechanical, Chemical, Electrical, Electronics & Chemists) are the recent disciplines which require being filled by the applicants. NTS Fertilizer will be initially conducted in January, February and March 2019 and therefore it will be conducted quarterly each year. One will get the best experience and learning area. Now, I will let you know about its further details let's have a look at its rest of the details below. FFC which is abbreviated as Fauji fertilizer Company is the Pakistan well known Fertilizer company which is involved in production of Fertilizers on larger scale and the applicants and is having the major share in fertilizer company of Pakistan given excellent internships, apprenticeships and employment opportunities to the applicants for experienced as well as fresh from Masters to Matric level. Interested and willing applicants are required to register themselves by visiting the NTS Official site or from the given link below. The last date for online registration is April 30, 2019. So, viewers above we discuss FFC Management Trainee 2018-19 for which applicants from all over Pakistan are welcome to step forward and join this reputed Fertilizer Company and enhance your skills and abilities in relevant field as mentioned above. 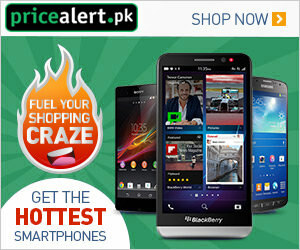 So, apply as soon as possible and be the first to avail this opportunity. Last Date For Registration: April 30, 2019.